I uploaded some new computer generated tunes. No input from me xept some arranging (I know there's a lot of room for improvments) and mixing (also room for improvments). Comments and suggestions are welcome. This should have become some Tex-Mex tune as well (hence the title), but endet up being something else..
And this short'n quick one also came into its life “on the fly” while browsing through the new styles and realtracks. BIAB 2012 (ASIO) on Vista 32, Dual-Core 2.0Ghz with 4GB Memory. Main DAW is Samplitude (11 & ProX) and I like Spaghetti. BTW: Today is a good Day to have a Good Day. Dude, your vox are missing in these songs. All I hear is the Band-in-a-Box backing tracks. Dude, you vox are missing in these songs. All I hear is the Band-in-a-Box backing tracks. I’m gonna take a WAG, (wild a**ed guess), at this one regarding the topic and the “songs” posted. Anyone with a computer with BIAB on it can plug in a chord progression, pick a style and tempo, stick a name on it, and click “play” and call it a “song”. But is it a “song”? Or is it just a computer generated response to a non-musical manual input? If the original poster, (aka, author), doesn’t play any instrumental solos on the “song”, haven't written a melody to the "song", and they haven’t written any lyrics to the “song”, have they actually “written” anything? The simple answer is “No”. A chord progression typed in to produce a computer generated response isn’t a “song”. You could just as easily say BIAB wrote it, or that the “laptop did”. Either one would be more correct than saying you wrote it. Is that the point of the post? Nice arrangements deltagolf! I like the gypsy guitar mixed with the accordion on "Don't Stop Now". I agree. And deltagolf obviously can be credited for the arrangements. The thing that I found curious was his title for the post, “Some new tunes my laptop did”. So it made me wonder if deltagolf was trying to make a point by stating that his “laptop did” it? Good to see you with another post! Right at this very minute, I'm listening to "Floating Downstream"! That's a mighty clever computer that you have there! I've got to say that you've assembled these Realtracks VERY, VERY tastefully. My experience is that the creative process can take many forms. I'm really impressed with the way that you've taken the Realtrack solo and used it to piece together a Realtrack melody that clearly has your stamp on it! What I'm hearing goes beyond a simple computer generated solo. My ears tell me that you've spent a great deal of time on this opus as such a professional sound does not happen by accident. Brilliant stuff. Very, very nice stuff - great job! Really enjoyed these. If Beethoven had BIAB, and he typed in the chord progression with an appropriate style to “Ode To Joy”, and let’s say he plugged in all the right Real Tracks and Real Drums, …… would we remember who he is over 200 years later? And obviously we wouldn’t have the melody. Let’s take it down SEVERAL notch’s. Willie Nelson wrote "Crazy" (the signature tune of Patsy Cline), "Funny How Time Slips Away" and "Rainy Day Blues" among many other 1960’s hits. If he had typed those chord progressions into BIAB without writing a melody or words, would he simply be an old hippy that we’ve never heard of? BIAB and RB are wonderful songwriting tools, but if we let them write the songs for us, have we really accomplished anything? Unless we write a melody, and words, (if appropriate), we still haven’t written a “song”. And I do take note of the fact you mentioned "computer generated tunes", ...... not "songs". I'm just not sure others are noticing that. Thank you for your thoughts and responses to these tunes. It was never in my intention to create a controversial title for this thread. I simply was reluctant to call these "my original music" or something like that. I thought it more like being a showcase what BIAB can do almost on it's own. Of course one needs to arrange the different parts in a creative way. I try to teach myself in mixing and getting levels right (there are a lot of VST plugins involved) etc.. "Creating" this music to me is more like rehearsals in mixing. As Bob correctly mentioned, I don't call them "songs", since there's no voice and no lyrics. And yes Noel, some tunes needed quite a bit of work to "assemble" the right bits and pieces or to find the good sounding harmonies and different solo parts. But i.e. for the short gipsy tune "There's To You" it was only a matter of decideing what soloist to take and "arranging" by muting/unmuting, freezing and exporting the tracks for the final mix. Basically I take an existing chord sequence, copy&paste to my liking and let BIAB do the work until I hit something I like. I still find it absolutely amazing how one can "create" music that sounds so good (and in a musical way). I come from a background of playing instruments in my early years (horn, trombone & clarinet at school) and started to "make" music some years ago with Samplitude (with samples and loops). When I discovered BIAB (Version 2009) my yaw dropped to the floor and everytime I was able to pick it up, the new version of BIAB arrived and there was the yaw again, on the floor. Therefore I never started composing music in a serious way. I still play and fool around and have a ball creating music more or less by accident. It's so easy and so much fun, isn't it? As I've already said, creativity comes in all shapes and sizes. What you have done is every bit as creative as any of the songs that I have composed. I admire your ability to use BIAB in association with a DAW as a 21st century musical instrument. Your thinking is very innovative! The fact that you've taken bits and pieces of melodies and have cut and pasted, mixed and matched the segments and notes to get exactly what you want means that you have composed music. BIAB has given you the notes in just the same way that a piano gives me the notes and you have manipulated your notes to shape a melody in a comparable way that I manipulate notes on a piano to get the melody I want. As earlier mentioned, to my way of thinking, what you've done rates as composing. I'm looking forward to hearing what you do next. I remember it being quite a lot of work and since I don't play keyboard it would not have been possible without BIAB. This is to show a case that's truly not ready made by the computer, but with the aid of the computer. MIDI and Realdrums/Realtracks in combination. This is a beautiful melody and you've developed it very well. You definitely have a flair for music. When I compose melodies these days, I usually enter the notes in BIAB (Notation View on the Melody track) in the rhythm that I want the melody to play. At this point, I'm not worried about the notes' pitches other than I choose something that sounds in tune with the chord being played. Once the notes are entered in the correct rhythm, I then drag them up and down the staff to make a melody that appeals to me. Given that you don't play keyboard, this approach might also work for you. It's very quick once you get the hang of it. Thanks again Noel, for your kind information. I usually export the MIDI tracks to Samplitude where I can run several instances of VSTi's. I make all changes in the piano-roll window of the MIDI tracks. This is what I'm used to and I can adjust notes, duration and attack etc. It was never in my intention to create a controversial title for this thread. I simply was reluctant to call these "my original music" or something like that. I thought it more like being a showcase what BIAB can do almost on it's own. You didn’t post anything controversial. And I wasn’t trying to make it that way either. Your arrangement skills using BIAB are obviously very good, and definitely better than mine. I use my guitar to write and/or arrange a tune I already know. After doing that, I punch in the progression to BIAB and use it for backup only. BIAB is obviously capable of much more than simple backup, and your arrangements are evidence of that! Very nice arrangements. All songs are excellent work. Thanks for sharing! Thank you Bob and PgFantastic. I just re-listened to some of Bob's tunes. Very nice job with the remastering of "Sweetest Personality". I like the vibe of this song. Great vox and arrangements too (wish I could sing...) Yeah I know, anyone can sing. But believe me, I can't. (and English is not my native language, sounds awful when I speak "weess se horreeble accent"
PgFantastic, I remember enjoying listening to your music too. I'm at work right now and can not get through to myspace or reverbnation (page blocked by company rule). Will visit when at home. 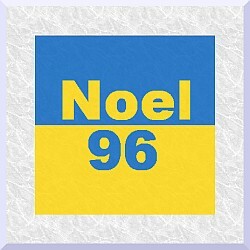 I also know Noel96's tunes and admire the artistry behind it as well as the crisp and clear professional sound. I want to get there too...! And Bob's "rsdean" songs with his unique voice and timbre I enjoy anyway. It's good to be able to read the lyrics at times since I can't follow the words everytime when listening (lack of practice). The remastering on "Sweetest Personality" was done by Mac, so I want to give credit where it's due. I did the remastering on "Village Dream" and "Especially Tonight".